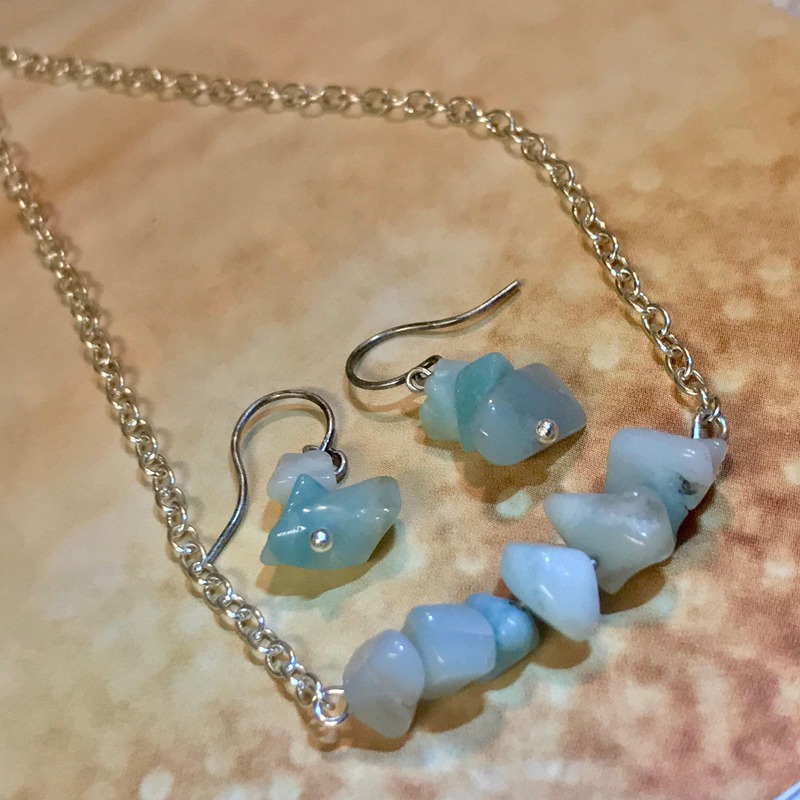 Beautiful REAL Natural Amazonite Gemstones set on a 16" Sterling silver plated petite cable chain WITH Matching Silver Plated earrings. 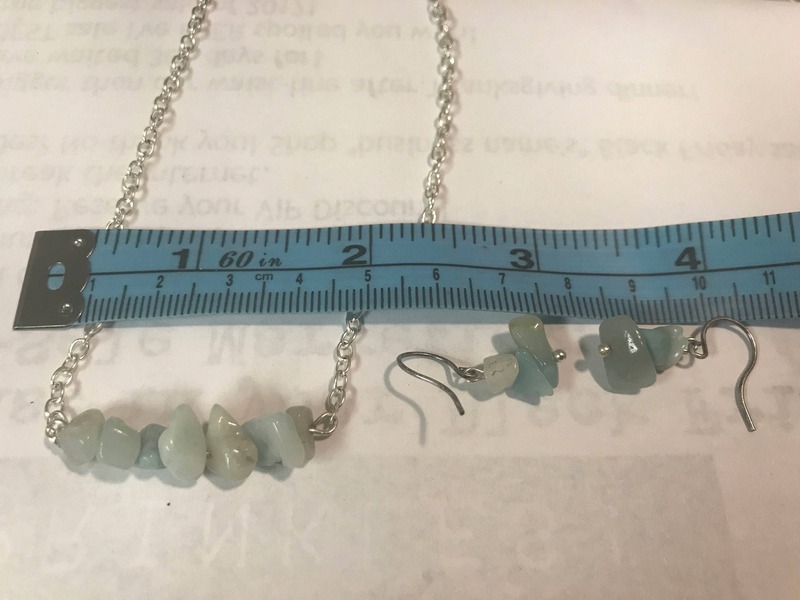 Measurements are shown in the photos. 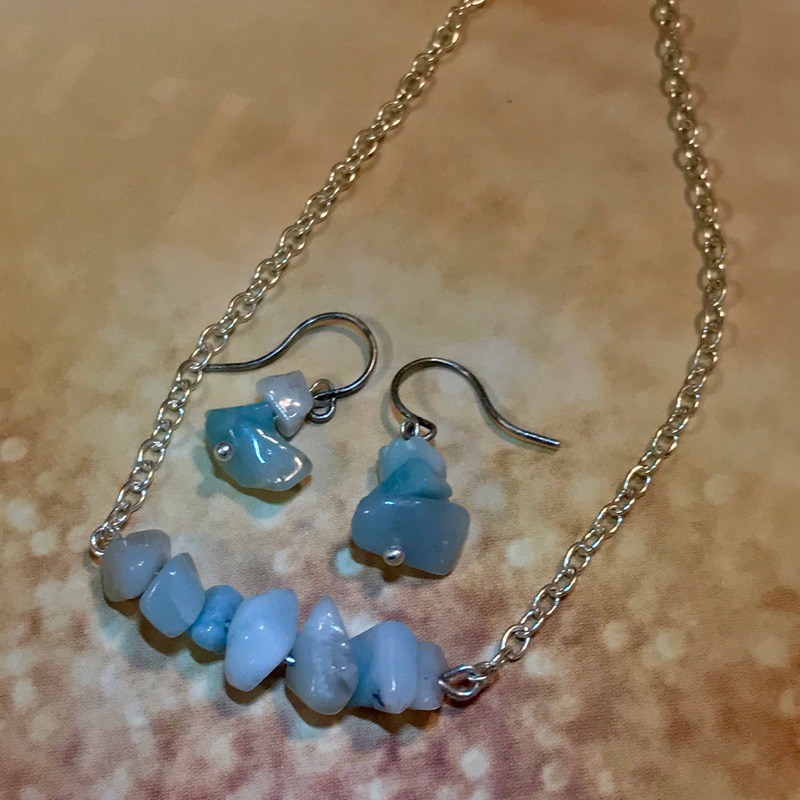 The necklace has just over an inch of Gemstones and the earrings are about an inch long top to bottom. You'll love wearing these to the beach and every day. 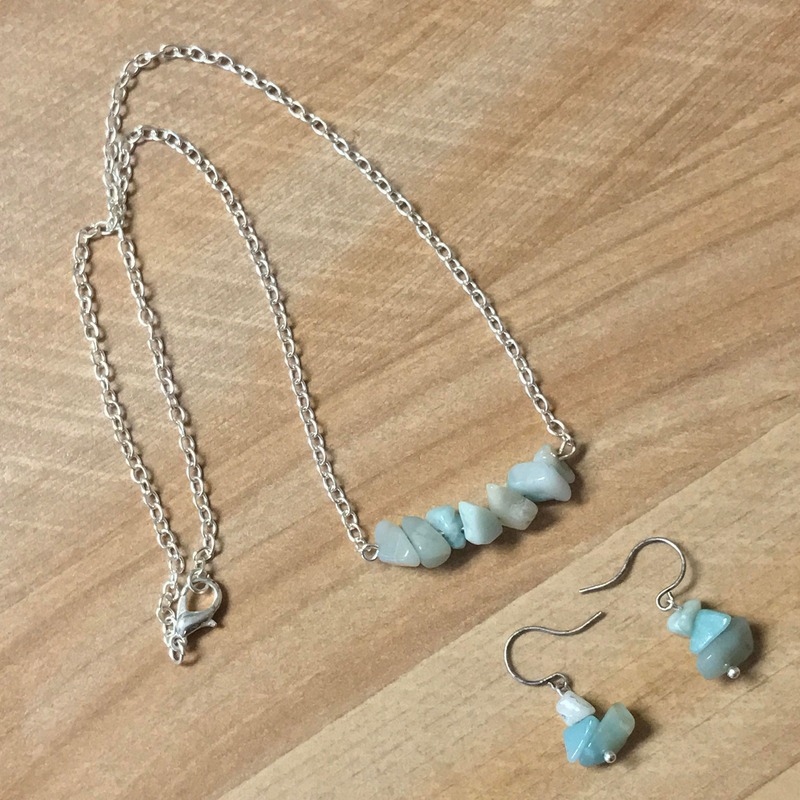 Minimalist BOHO Jewelry Set with REAL Amazonite Gemstones. Each item comes in a small gift box, ready to give as a gift - or to keep for yourself. 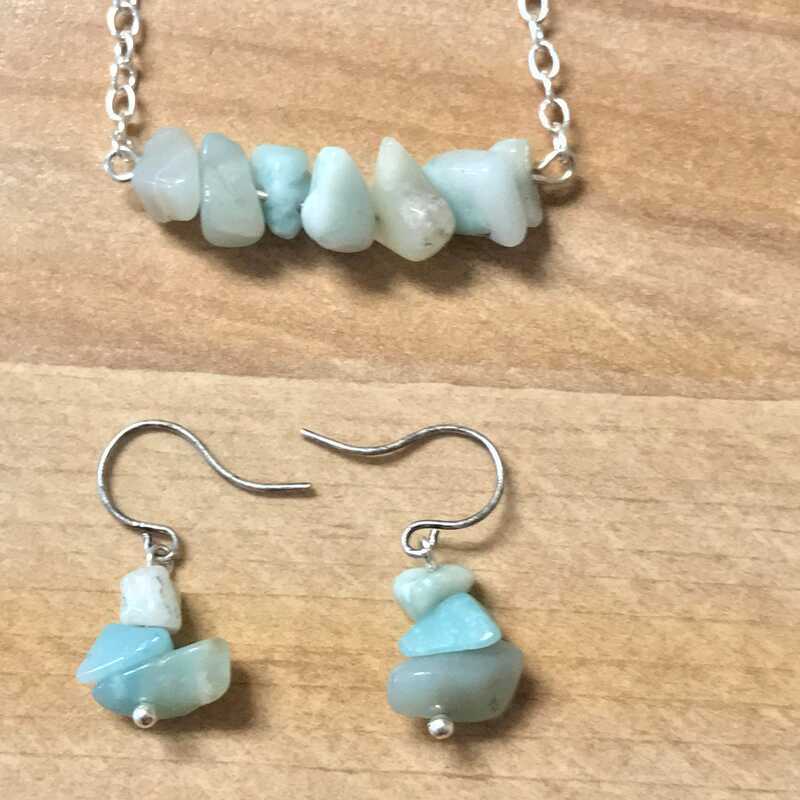 Amazonite is an ancient gemstone prized for its beauty and healing powers for centuries. It is still appreciated for its uses, benefits and beauty. 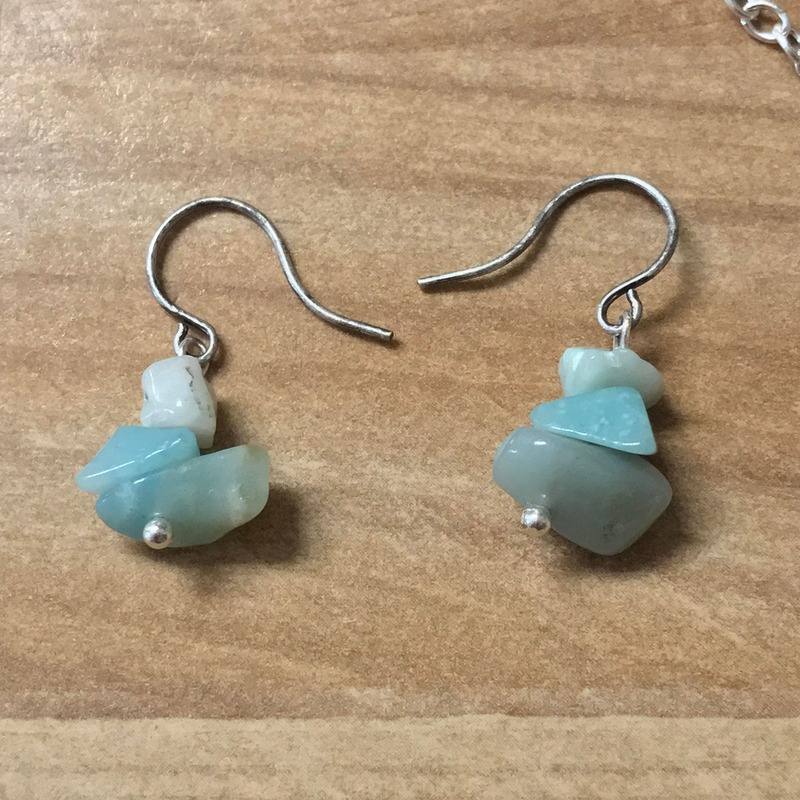 Legends tell the stories of warrior women of the ancient Amazon tribe in Brazil using amazonite stones for their shields, to cure illnesses and heal wounds. It is said they gave Amazonia rock to men who visited them. 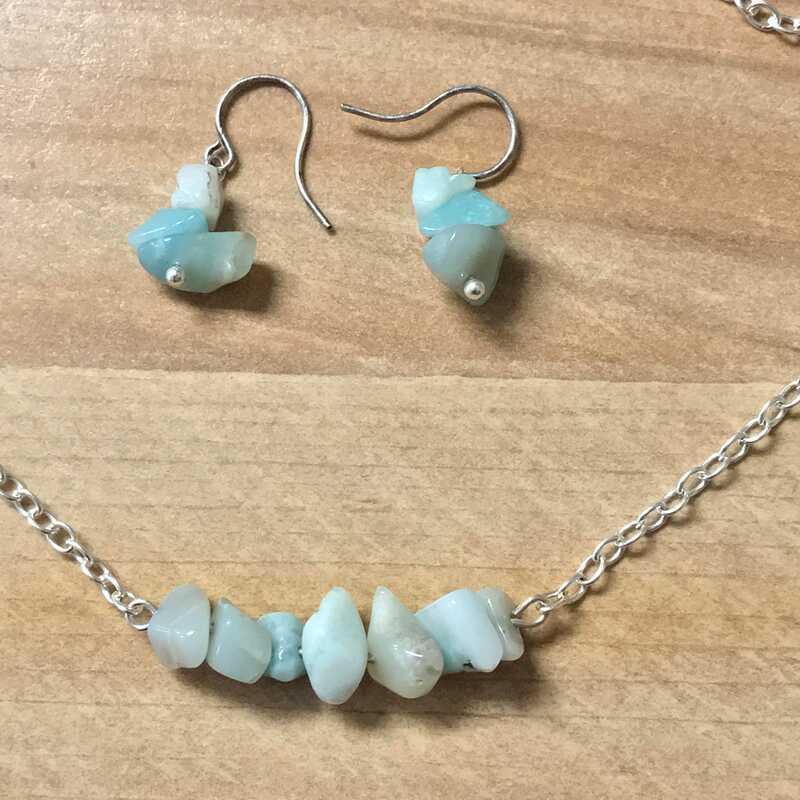 Ancient Egyptians believed amazonite was a symbol of fertility and good, it has a calming effect on the soul and spirit. 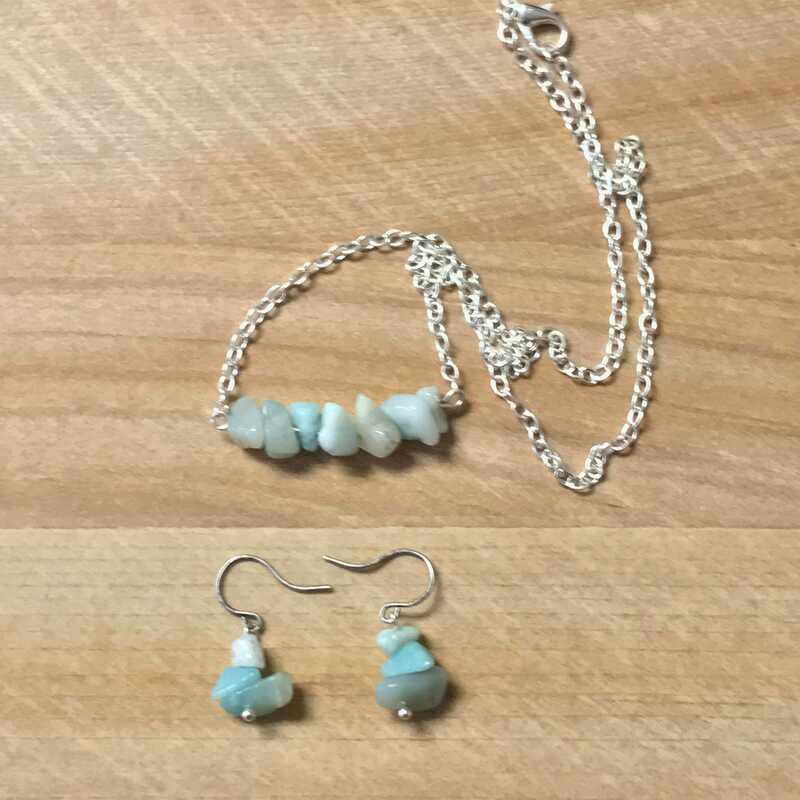 Amazonite is also reflective of the bold and powerful women of the ancient Amazon tribe. It imparts balance and harmony, calms aggression, makes the irrational more rational and quiets the mind. It imparts the strength to express feelings and thoughts, facilitate the setting of clear, firm boundaries and strengthens the resolve needed to hold fast when these boundaries are challenged.